Quick reminder. 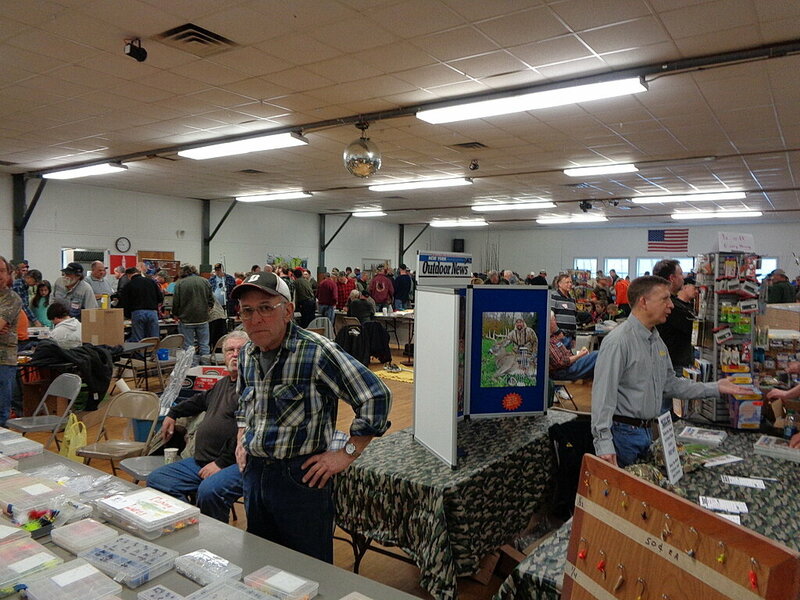 The Finger Lakes Trollers Fishing Tackle and Outdoor Show will be held on March 31st. Clute Park Community Center, Watkins Glen NY. 9;00 am to 2;pm. $3.00 admission,under 12 free. 75 tables. Good food.See you there,bring your buddys. Gambler Rigs will be there! Stop in and stock up and talk fishing! GREAT SHOW TAKE YOUR TIME LOOK AROUND. FOOD!! Hope its a good show me and the girlfriend just booked a stay at a bed and breakfast for sat. so we could come to the show and browse around and were coming from northeast ohio and going to make a weekend of it ! Outwest - be sure to hit a couple of wineries. Yes we intend to hit a couple of the wineries also . We are staying at the south end of the lake by Watkins Glen and thanks Sk8man for the photo shot of the show looks good to me ! And thanks for the responses . Does anyone have a # for harvey o hara? Dave with R & R tackle will be there with some new products as well. Haven’t been up to the show in quite a few years but hoping to see some of you at this one. Keep your fingers crossed that it’s not a snowstorm weekend ! Plenty of breweries to check out Also. Fishy Business will be selling there again this year.This is the BEST show that my wife and I do,many return customers and lots of new ones.Long line trying to get in doors at 9:00,plenty of parking.Hope to see you there.